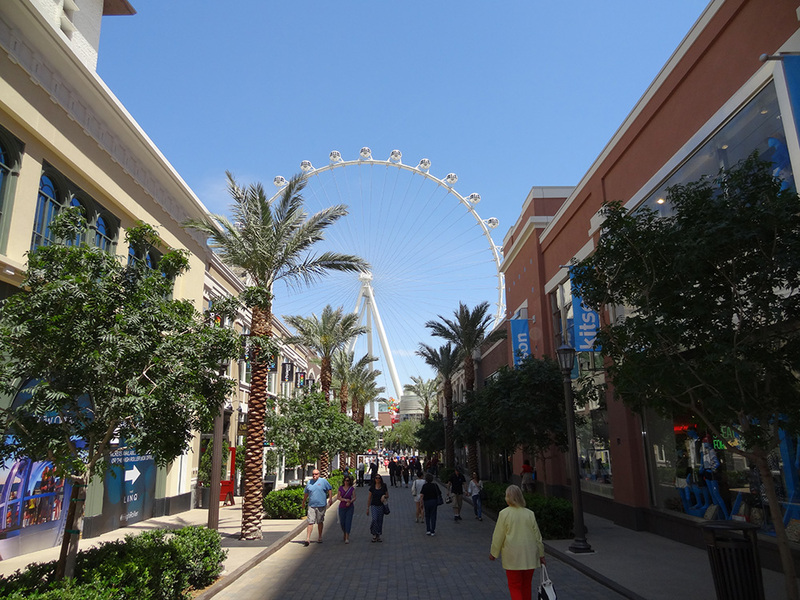 The LINQ Retail District is another cool new area on the strip, brimming with artsy shops, restaurants, and nightlife. 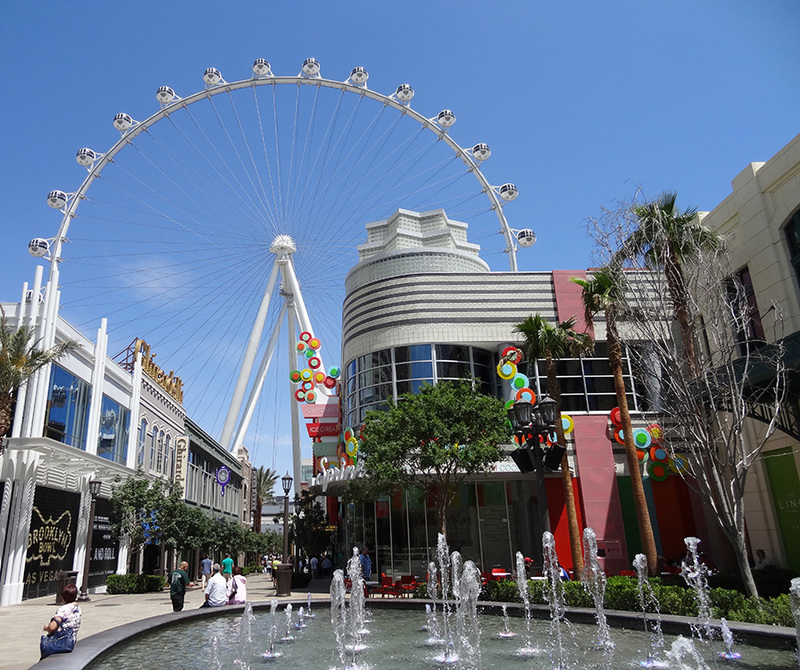 Plus the High Roller observation wheel (tallest in the world), which I will cover in another post next week. It’s clean, green, and spacious. 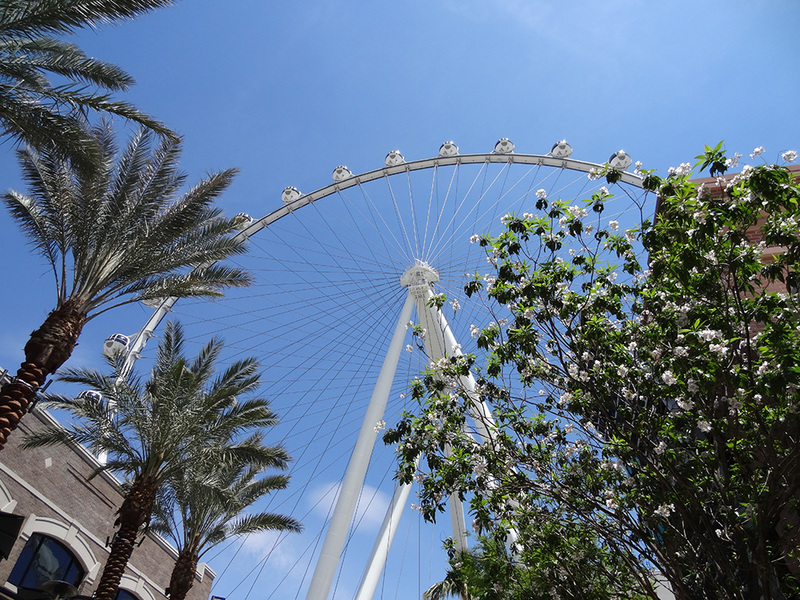 It’s a welcome break from walking down the packed sidewalk on the strip. No people bombarding you with flyers here. The fresh-squeezed fruit and drink cafe is awesome. Say goodbye to murky strip drinks where you may fear ingredients; they squeeze a variety of fresh fruit every morning, then give away leftovers at day’s end. 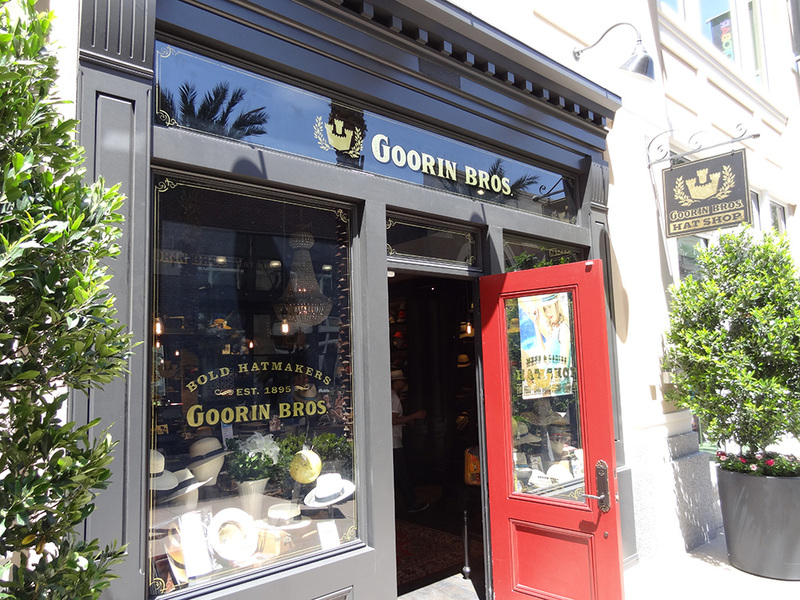 You can also find fun shopping, like Goorin Bros Hatmakers. 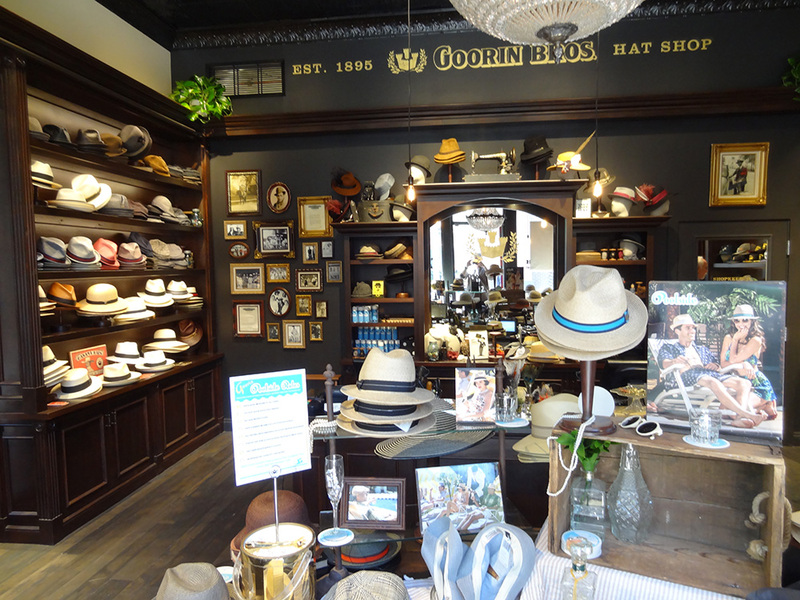 The weather is heating up and people are donning all kinds of hats for city walkabouts or poolside festivities. The Yard House is here, too, a solid brewery and eatery. Who doesn’t like chocolate? 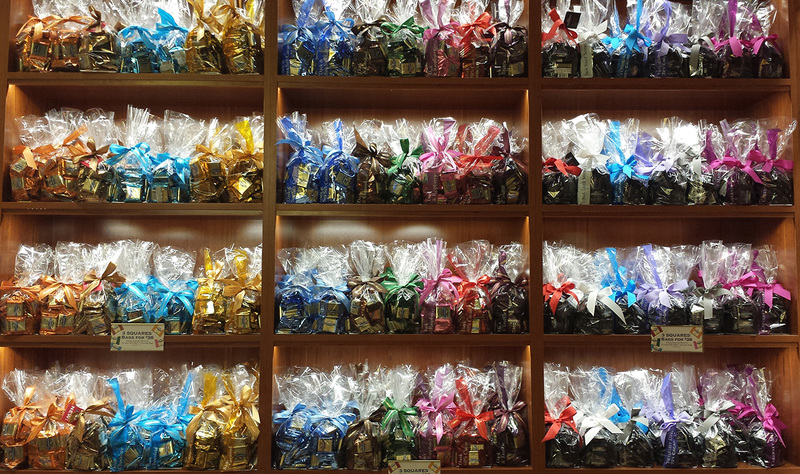 Ghirardelli has plenty of flavors to choose from. While strolling down the sidewalks, I noticed a guy with his shirt off, several lewd tattoos exposed, his pants pulled down low displaying most of his boxers. I thought, that’s sad. (Never been a fan of this “style” though somehow it’s lasted over two decades.) This sharp, well-swept, manicured area may soon deteriorate. Seconds later a well-dressed security officer politely asked the person to put on his shirt. 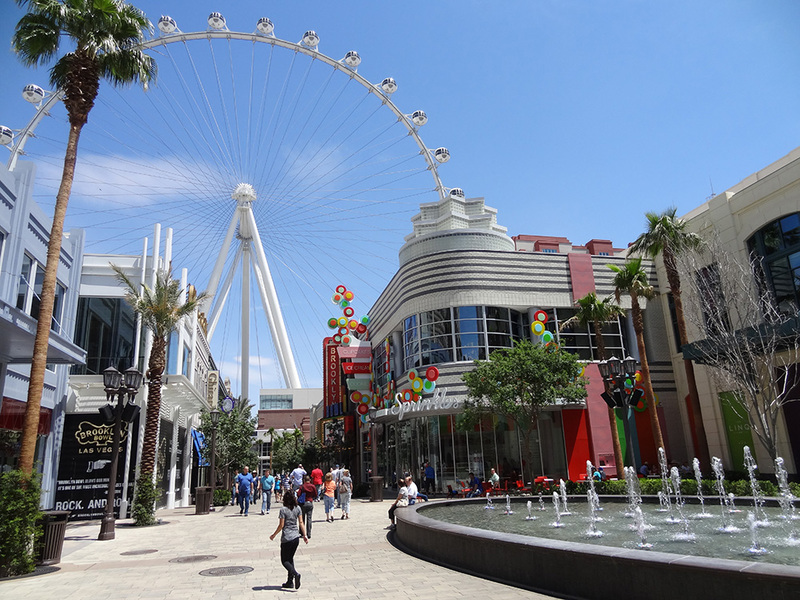 Well done, LINQ! There’s hope for this area. Listen, I’m all about personal freedom, and that includes the freedom of everyone to walk around a pleasant city district without having to see an individual treating it like their own personal trailer park. 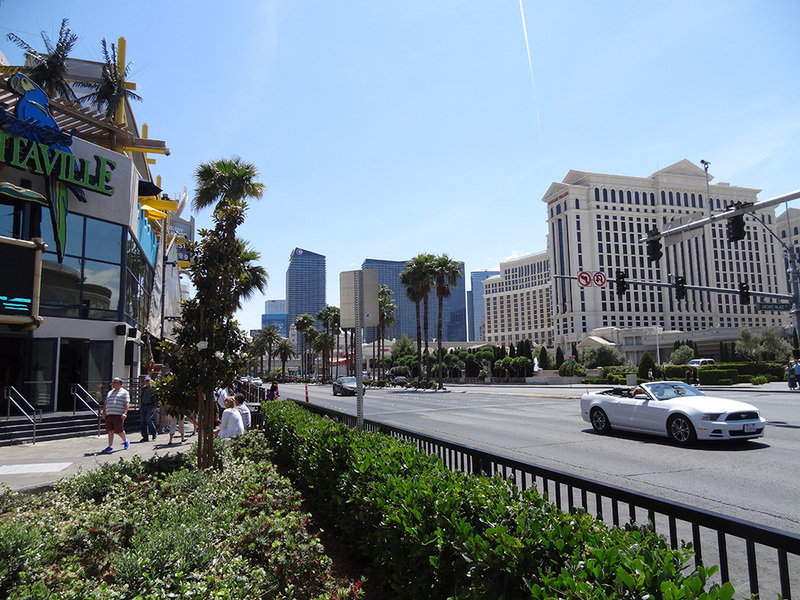 On the Vegas Boulevard side, you can enter across from Caesar’s Palace. 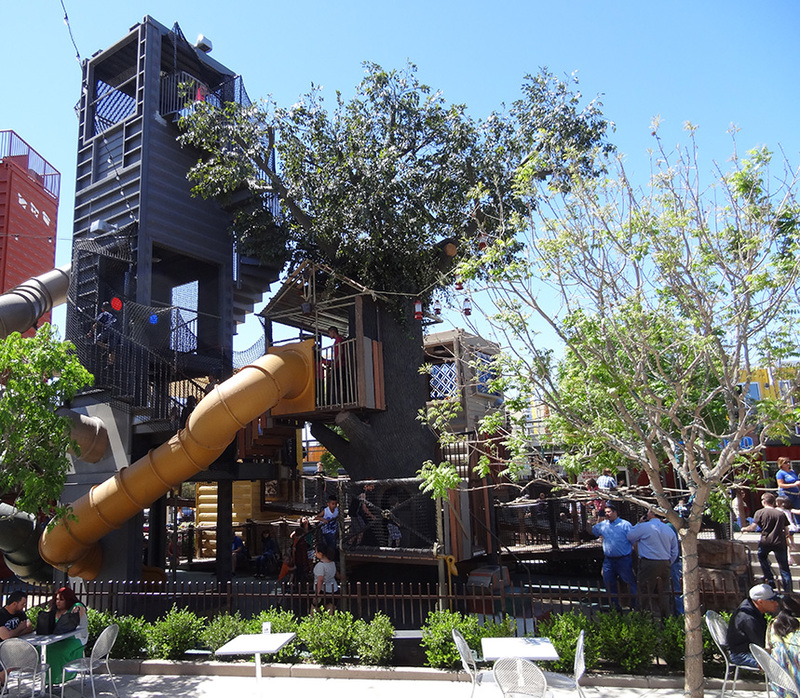 You’ll have fun exploring all this area has to offer. 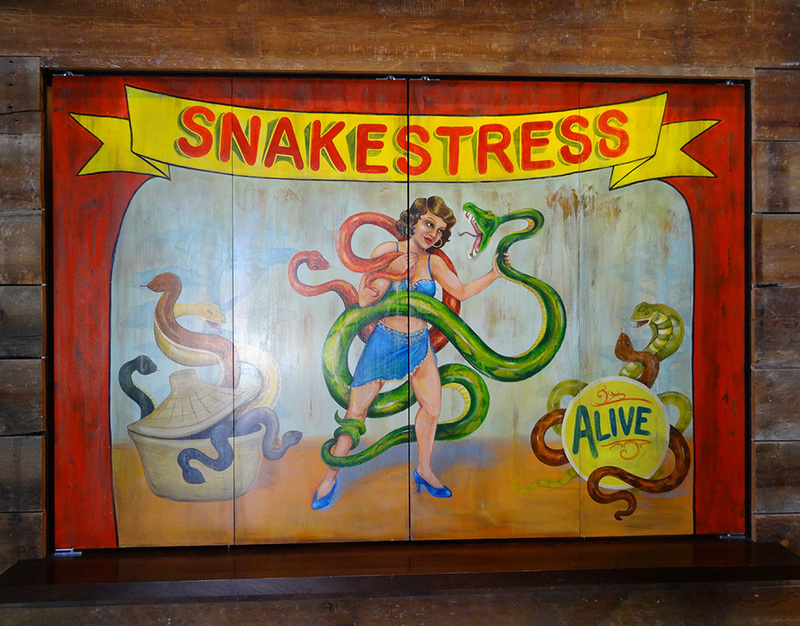 In another write-up soon, I”m covering the Brooklyn Bowl, which has live concerts next to lounge-esque bowling (leather couches instead of plastic seats), all inside a large brick building with high ceilings and old circus themes. 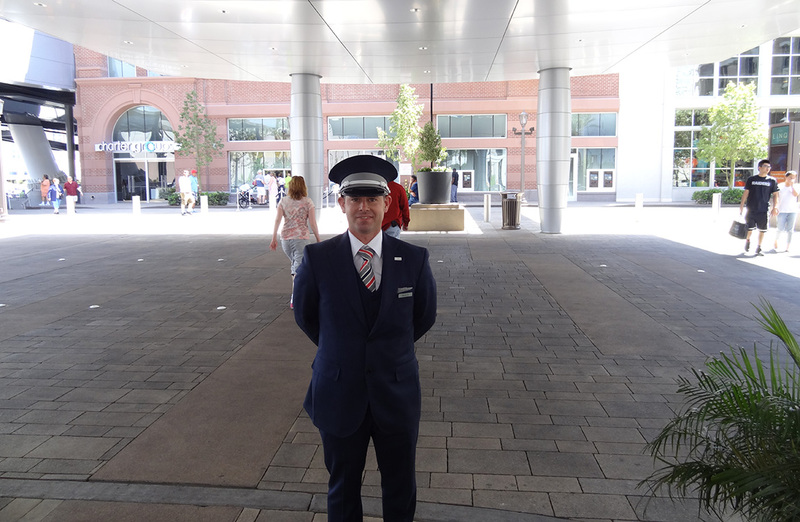 For a finishing touch, when I returned to valet (directly under the High Roller), the attendant was dressed like an airline pilot. Then he offered me a bottle of water. That’s the first time I’ve ever seen valet offer bottled water. 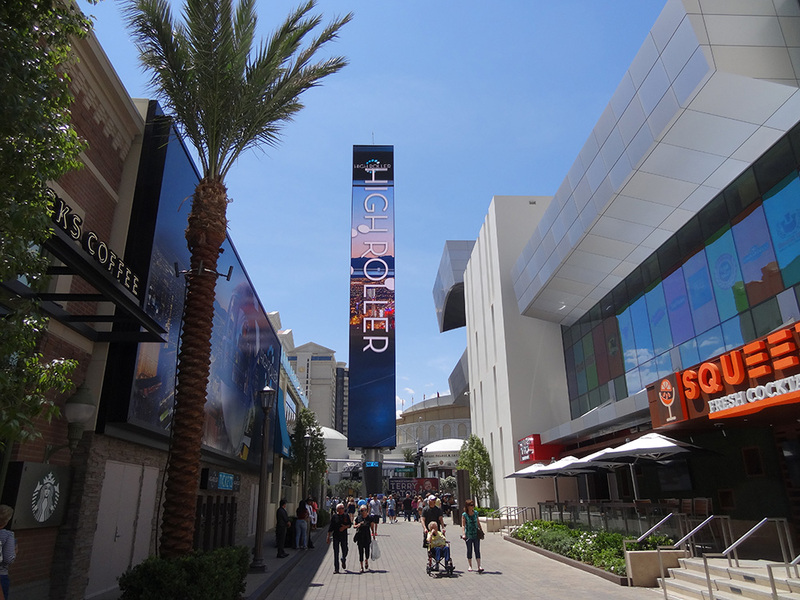 Las Vegas is cleaning up its rougher areas, folks, block by city block.